I loved the concept of an Angel and a Demon trying to stop the predicted Armageddon from happening. Why? Because they each like living among humans and eternity will be rather boring when this world ends. Have you ever heard of the Four Horsemen of the Apocalypse? Here we have the Four Bikers of the Apocalypse (because times have changed) and what if the AntiChrist disagrees with his role in the whole plan? 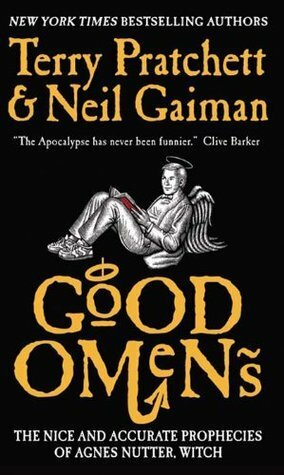 Good Omens the TV series is one of the most anticipated shows of 2019. I’m looking forward to seeing this book adaptation!